Hi everyone! Happy Monday! I took the day off of work to spend one last full day with my son before school starts on Wednesday. Time goes by quicker and quicker with every year and I want to take advantage of these days while he still wants to hang with his mom! With school starting and summer coming to an end, I thought I would do one last summer card before I immerse myself in fall projects. 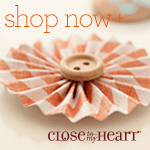 The pattern paper is from My Mind's Eye, Everyday Flair 6 x 6 paper pad. I used both sides of one sheet to cut down on scraps. I distressed the edges of all the pieces. The middle blue piece I ran through the Cuddlebug with the Spots and Dots folder and I wrapped some orange/white bakers twine around it. 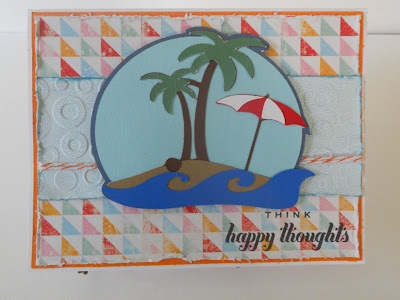 The sentiment is from the CTMH set called Happy Thoughts. The beach scene is from Formal Occasion cricut cartridge. I didn't even know these little scenes were on this cart. I love finding new stuff on old cartridges!! I sized it at 2.75" and used all the layers. The water border was added from Best of 2010 cartridge. I sized it at 1" and then in CCR stretched it until I liked how it looked. I popped the scene up with foam tape for dimension. 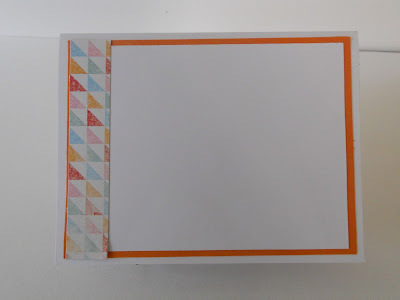 I left the inside blank because I'm not sure what this card will be used for yet and added the one little scrap piece left over from the 6x6 paper I used on the front. This is a very happy card indeed!!! 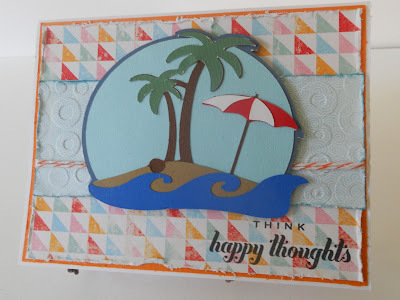 Looking at this card makes me happy and makes me wish that I was sitting on the beach overlooking the ocean waves. I miss it ... Aaahh the joys of summer. Beautiful card Dawn! Thank you for joining us this week in our "H2O" challenge at Jo's FFC! Your card does indeed invoke happy thoughts of one of my favorite places...the beach! What a wonderful scene you've created! 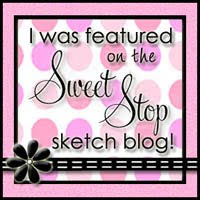 Thanks so much for joining us at The Sweet Stop this week, Dawn! 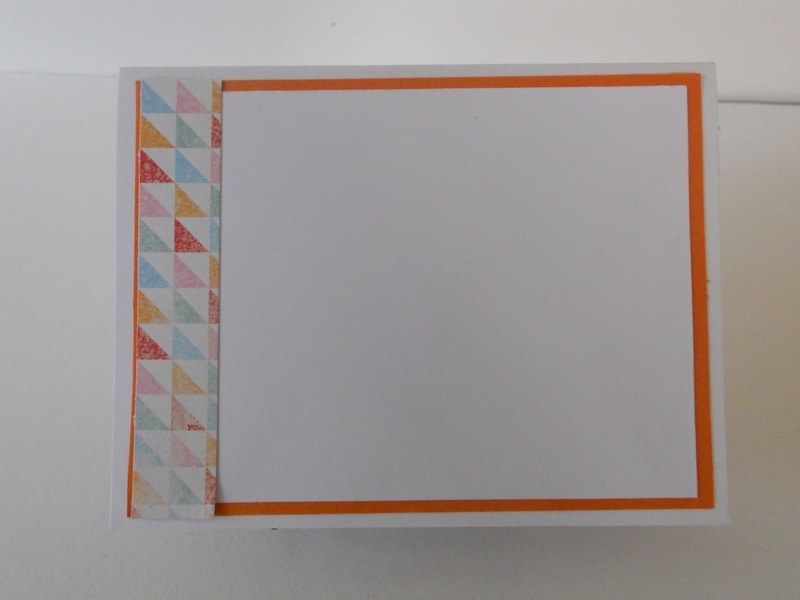 This is one adorable little card! Perfect sentiment and great use of color and texture. Bonus points for using our featured key for the Rose Blossom challenge. Thanks for joining us! What a fun summer card! Thanks for linking up to the Rose Blossom Garden!